These chairs were easy to assemble and matched perfectly with our dining table that we bought a few months ago but didn't have the chairs that were included. Wholesale Interiors chairs are the perfect addition to our dining room table from Atalo Collection. We purchased a table 5 years ago and I have been looking for the perfect chairs since. They look absolutely perfect with the kitchen table and bench my son made it for me. The price was very reasonable and they appear to be very high-quality and sturdy. The sturdiness and beautiful finish on the table and the chairs that match are one of the best furniture purchases I have made. I've ordered many things from Wholesale Interiors, but this is my favorite purchase of all. These studded chairs seriously make my table look perfect! Cannot wait to have our first dinner party in our new dining room. Great looking, solid, comfortable seating, matches existing décor, quick delivery. We have had a number of dining room chairs that were ruined within a few months because of spills, but these chairs seem to be able to withstand even frozen berry spills. 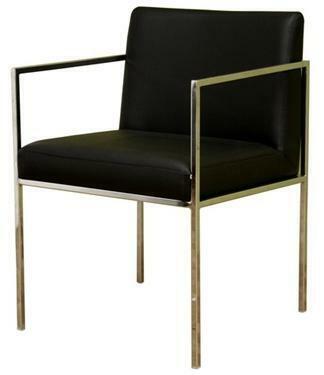 I have had more compliments on these Atalo Collection from Wholesale Interiors chairs than any other piece in my home. All in all, I am very happy with these chairs. They are excellent quality, very sturdy, and comfortable to sit in. They are very solid and sturdy. They take paint and stain well and look great in our kitchen. This chair looks really good in my studio and you can't beat the price. Very easy to put together and great quality for the price. 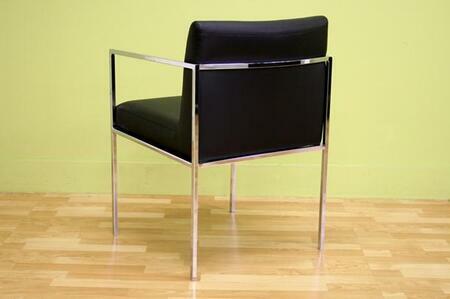 Slightly larger seat adds to the quality and sturdiness of these Atalo chair from Wholesale Interiors. Very comfortable as well. Excellent quality for this price point. Bought these for my kitchen table and they are fantastic. Bought these Atalo Collection chairs for a restaurant I manage over a year ago. Not uncomfortable and so comfy to get people in and out. Durable and reliable. I really like these chairs from Wholesale Interiors. Mission accomplished.